I HATE JANG MA RI!!!!!! Oh my goodness!!!! 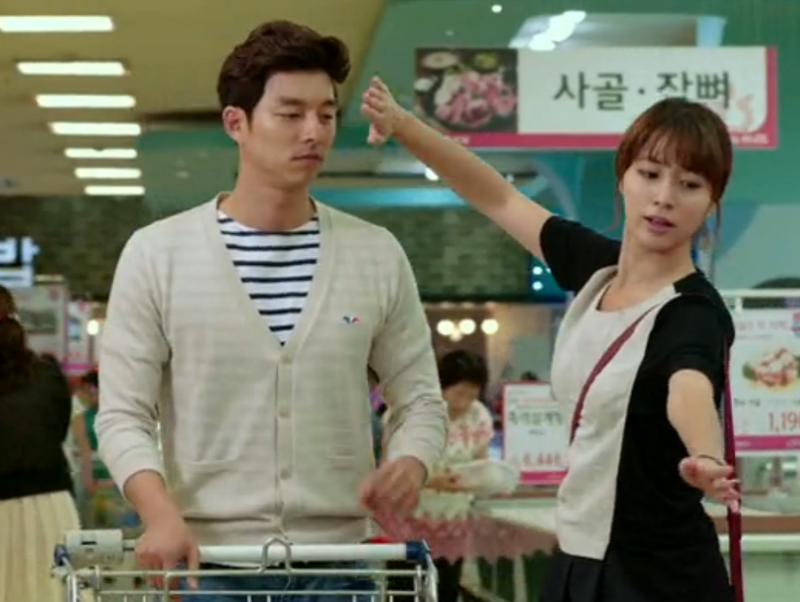 I hate pesky, conniving females in K-drama that make me want to strangle them! Goodness! I am a pacifist at heart, but they induce this exasperated rage in me. 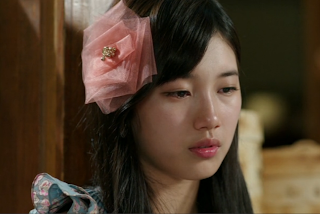 Suzy is doing a fantastic job at making me hate Ma Ri, dang it! Also, why is Ma Ri harping on about Da Ran making a promise not to like Kyun Joon? As far as I remember - Da Ran actually never replied when Ma Ri was trying to make her make the promise, so in my book - SHE NEVER MADE ANY PROMISE NOT TO LIKE HIM, well, at least to Ma Ri. Also, all the lying - DRIVES ME CRAZY!!!! It is so petty, childish, immature - and has enough nuances of truth that we are going to have a horrible does of noble idiocy - argh!!!!! *gnashes teeth, starts to weep in frustration*. Why does she think that "putting the ring back on" is going to change anything? She doesn't get it - and it's driving me absolutely batty! Da Ran (or no-one for that matter) can pretend to love someone - it just does not work in the long run. Oh noble idiocy - be gone, be gone! Before I had watched episode 13, I was going to start this post with: You know the saying: once bitten, twice shy? Well, I am hopeful that Big will end well, but I am also a little hesitant to completely rejoice quite yet. I am soooooooooooo glad that both Kyun Joon and Da Ran have confessed their feelings to each other - oh that kiss *swoon* - and I thought that little reveal by Se Young might be the first time that I actually didn't mind meddling by pesky, second female leads. Gong Yoo's face was priceless at finding out that Da Ran was "cheating" on Yoon Jae with him. Ah, so awesome! Instead we ended up with the rant session above. Though I guess I am still hopeful, but definitely still wary. At the end of episode 13 I kind of wanted to break up with this show. What is up with the non-communication? Initially I was going to write: [I know that there was plenty of mis-communication before the big feelings reveal at the end of episode 10, but in general I really, really appreciate that Kang Kyun Joon is so direct about his feelings. When he's bleeding and can't look at the blood and she asks why, he tells her! She really didn't have that kind of directness with Yoon Jae. She wasn't even sure about how he felt about her - and even if he loves her (which it is seeming that he does), she should be able to tell. And yes, she needed some growing up too in the emotional department - and she's getting that with Kyun Joon funny enough.] but now I throw my hands up in pain and exasperation. What is up with the stupid drama push-and-pull? It's not like it's actually enjoyable. There are plenty of other ways of introducing conflict without the characters not communicating clearly with each other (as Queen In Hyun's Man demonstrated). Why can't Da Ran just say - "I love you Kyun Joon, let's work through this very hurtful and angry time you are going through right now." Instead we have stupid "lying to your face which is ever so much more hurtful" - can you tell I am angry at the show right now? And I am tired of the push-and-pull. Really, this kind of relationship is so dysfunctional - but I don't really want to break up with K-drama (I almost did while watching Boys Over Flowers, luckily Flower Boy Ramyun Shop saved me). Please show, please restore my faith in K-drama, please. Or maybe I should watch some more Gaksital to assuage my frustration - though that's not a particularly happy show. 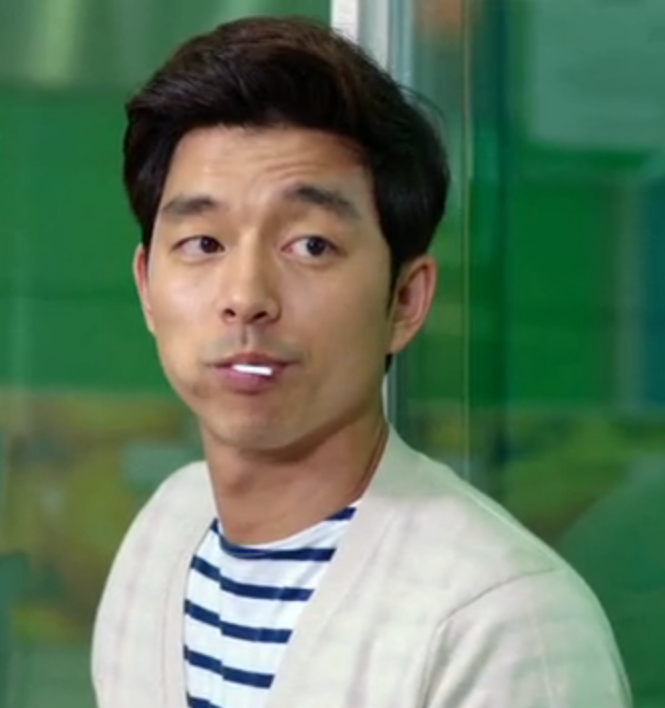 Or just look at more screen shots of Gong Yoo *swoon*. Also - what exactly is Yoon Jae sick with? 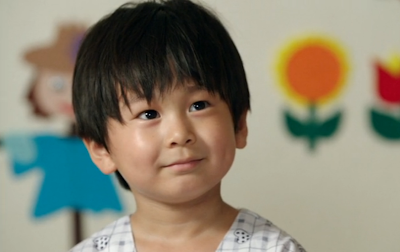 They keep on mentioning needing Kyun Joon's blood - which isn't that big of a deal (other than having to get permission, and the utter soullessness of having had a baby just to save your son - but medically it shouldn't kill Kyun Joon, right? 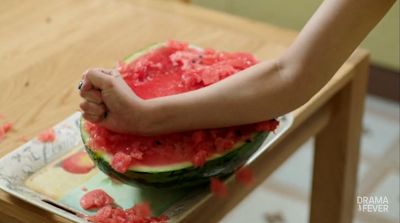 ), but somehow the drama is making it seem that if Kyun Joon gives Yoon Jae his blood, that he'll die or something. 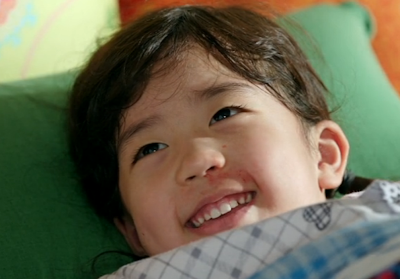 I get that Kyun Joon will go back to his body if he chooses to save Yoon Jae (but we figured that was coming, right? ), and that brings with it a whole other set of problems, but please explain this mystery illness to me, please! It is messing with my logic. 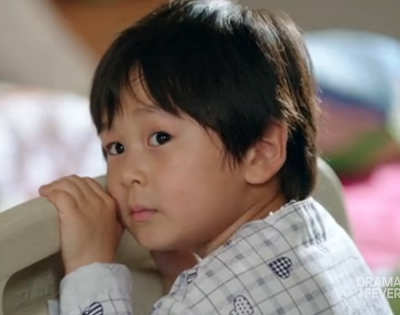 I'm just really not understanding the medical seriousness/how it will kill Kyun Joon. Confused here o_O. I think that for me this drama has been made of moments of cute-ness, mingled with too many doses of "what the heck is going on in this drama?!" I am glad that we are finally in a place where we are heading to a conflict I can get behind - even if I am not liking how they are playing it out. I understand that it really is a battle that Kyun Joon has to fight about whether or not he wants to help the people who is the most angry at, and the most hurt by. I just don't understand why Da Ran can't be at his side - I don't see why her playing noble idiot logically fits the narrative. I am glad that I've stuck this drama out, but that doesn't mean that I'm not angry and frustrated with it. 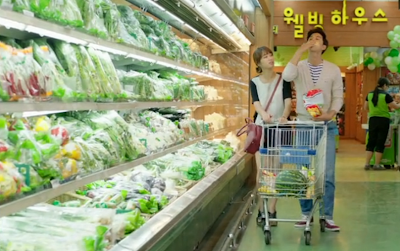 Oh, dramaland - why are you sometimes so exasperatingly frustrating!?! All that aside, there have been some sweetly adorable moments for me, and some really great emotional beats that hit just the right spot (if only they had come sooner)! 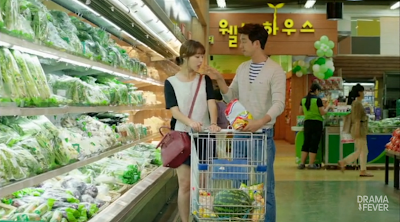 Though did Suzy have to kiss Gong Yoo? Is that even legal?! And I'm still angry with her - well, the OST item sung by Suzy is pretty - maybe if Ma Ri redeems herself, maybe then I can like her a little bit - seriously, has she not figured out that when she meddles Kyun Joon doesn't like her at all? Little pandas bobbing in the window! I just about died with laughter at the "meet the mom" scene. Omo! He is quick on his feet. And that pushed against the wall scene - Gil Teacher's heart is starting to flutter! Moon Embracing the Sun - that meta reference definitely put a smile on my face. Shopping!!! SO. FRICKIN. CUTE!!!! 'nuff said. Oh, my heart just broke when he said, "I, Kang Jyun Joon, will never love you," after giving her Yoon Jae's ring. Nooooooooooooo!!!!! His eyes, his face, so much pain and heartbreak. 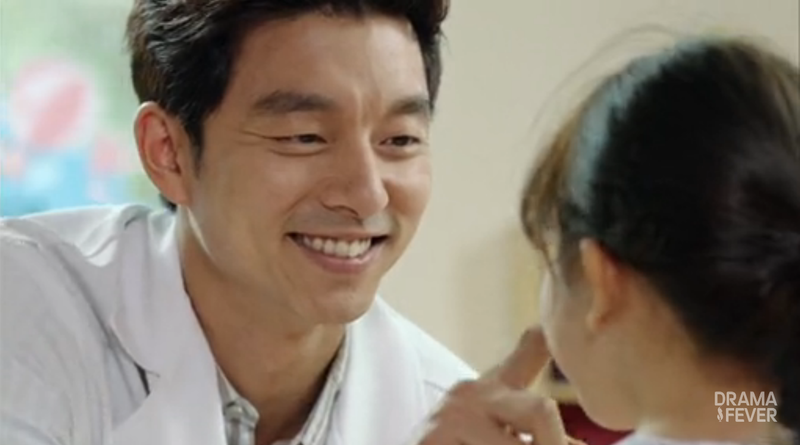 It was well done, so I could appreciate the heartbreak - and Gong Yoo's face - lovely even while in pain. The adorable, adorable panda making scene. Oh so cute I want to die! Beans. Need I say more? Da Ran crying and Kyun Joon watching - it was a beautiful moment despite being plagued with misunderstanding. So in that hospital scene the three bears song is playing in the background, and then the house cleaning session: Full House channeling, or something. Singing with a guitar frying pan. I don't know why Da Ran wasn't swayed before this - we all were episodes ago. The throwing out, and then the not throwing out of the trash. Especially the toothbrush scene. Choong Shik - just in general. My whole day was 10:10. Prison cell. So adorable and sweet!!! And yes, I know that some of these are Kyun Joon and some are Yoon Jae. I really loved the scene in the hospital with Bear and Bunny (well, I love all the scenes with them) when Bunny's mom asks Dr. Seo to hold Bunny's hands, and Kyun Joon chokes. He can't deal with the blood - but then he goes back and holds not only her hands, but also Bear's. 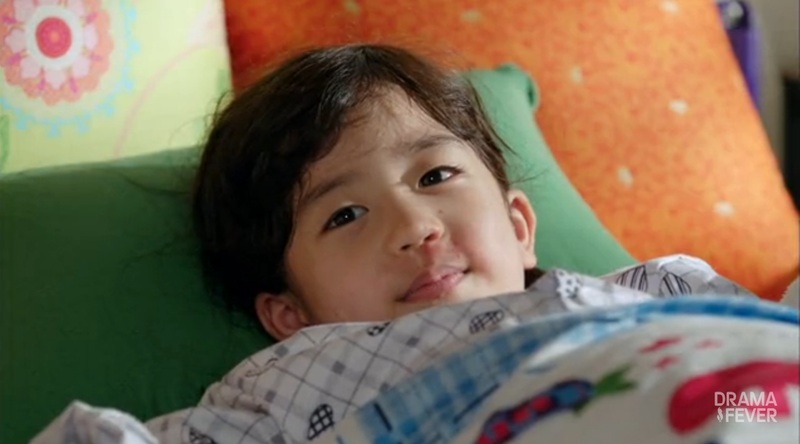 Kyun Joon faces the hard things head on, and deals with it. So it was really sad when Da Ran said at the end of the episode that she couldn't hold his hands because Yoon Jae comes first. I know she is trying to protect him, but it's not head on - and it's hurting him more. She did say back in episode 10 that them finding their proper places will be really painful, and we are definitely in for some more pain *sigh*. And to quote a little more of episode 10: "For salvation you need both love and sacrifice." Can we have a little more love, and a little less pain, please? And the kiss *swoon* - let's live on that moment of happiness while we deal with the pain. P.S. Just finished episode 14 - it was beautiful - just the right amount of angst and truth to hurt in all the right places, but with enough tenderness that I am hopeful for the ending I'd be happiest with *keeps fingers crossed*.